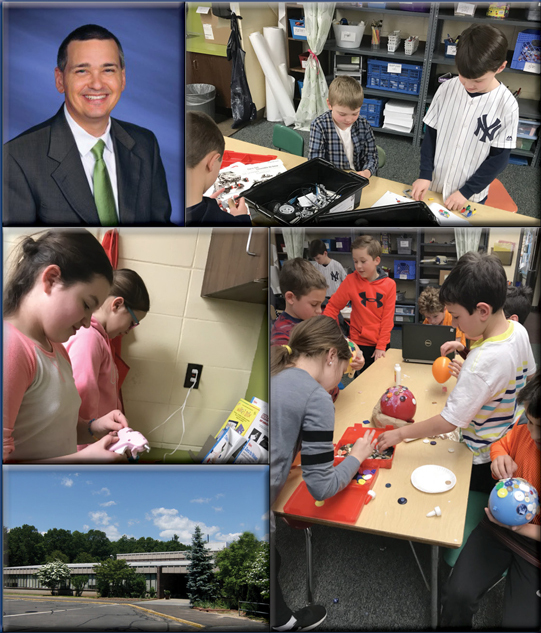 CAS is pleased to announce that Burr District Elementary School in Higganum has been selected as the CT Elementary School of the Year for 2018-2019. Burr is one of three elementary schools in Region 17, Haddam/Killingworth. As the visiting team met with students, staff, and parents, they found each group felt that leadership is shared. During meetings with faculty, the teachers discussed the school-wide collaboration in planning instruction for the learners at Burr. These teachers demonstrated pedagogical knowledge and best practices for the area within which they teach. This included the kindergarten teacher citing “purposeful play” while talking about instruction in kindergarten. When told of the recognition, Principal Eric Larson shared that he felt this great honor is reflective of the incredible staff and the supporting families that are within the Burr community.